Do you love the look of old distressed, re-purposed wood but are rather horrified by how expensive it can be? I'm specifically talking about using wood from old farm outbuildings and other old structures for flooring and other interior finishes---which, because this is such hot trend right now, can be pretty pricey. While both my husband and I love the idea of using a piece of patinaed history in our cabin project, we're trying to keep costs down-- so my husband did some research into alternate ways of getting the 'aged' look. It turns out to be so easy to do this. All you need is tea, water, steel wool, and vinegar. 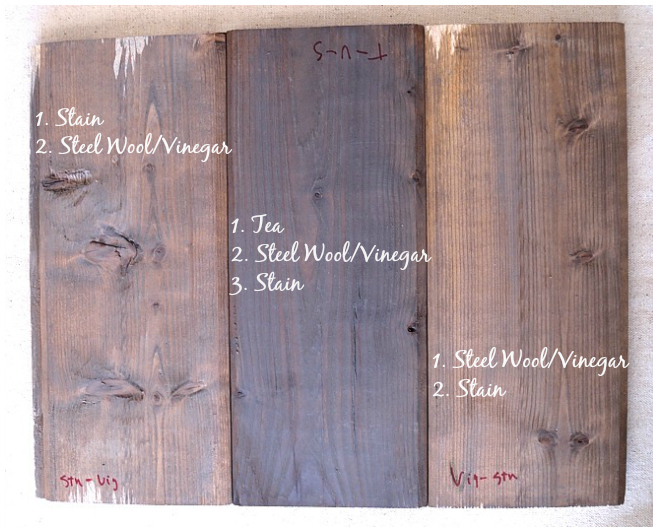 From these four things you create two solutions with which to create 'aged' looking wood: tea solution created from teabags placed in hot water, and a rust solution created from soaking the steel wool in vinegar. You can use a paint brush to apply the solution, although for easier application and larger projects you can use a plastic spray bottle. The end result depends on how long the solution is allowed to sit and the type of wood used--a darker stain will be achieved with softer woods such as pine. Sanding the wood before treating it with the solution will also produce a deeper, richer color. Here are the results of our experiments with this process. We treated a section of pine planking with the steel wool/vinegar mixture, and then tried several combinations with a tea solution and a flat polyurethane finish. We used black tea. Using the tea and poly gave us the richest color. No tea rendered a lighter gray color. We also found that the longer both solutions sat, the darker the final stain. Both solutions used on the pieces shown in the next two photos sat for a week before we used them. Using sections of tongue and groove pine planks, we applied a gray wood stain, along with the tea and rust/vinegar solutions, and then varied the combination and order of application- results below. Again, using the tea solution produced the darkest stain. Varying the order didn't make much of a difference. 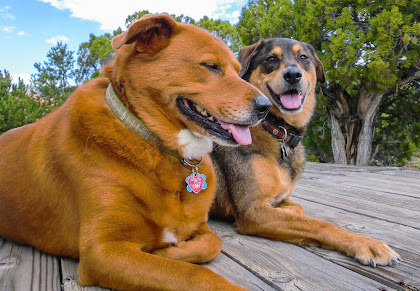 We're both pretty happy with the results and are especially happy with the variations that can be achieved using different application methods. We plan on using this 'aging' process to both treat the pine flooring in our cabin as well as the pine planking for the vaulted ceilings-- can't wait to try it out and see the final results in the cabin! I also tried this out with this wooden tray I got at a craft store. I used tea and wool/vinegar solutions to age the tray, and then applied a vintage label found at the graphicsfairy.com using a transfer gel. Scraping off much of the transferred image yielded something that looks truly old and worn. A great tutorial, and love how you used the letters. Great tray, too! I used the vinegar stain before and loved the results.....until my cat threw up on my piece. When I wiped up, the stain came off!! Mental note: apply a finish after the stain. Jo, this is good to know. 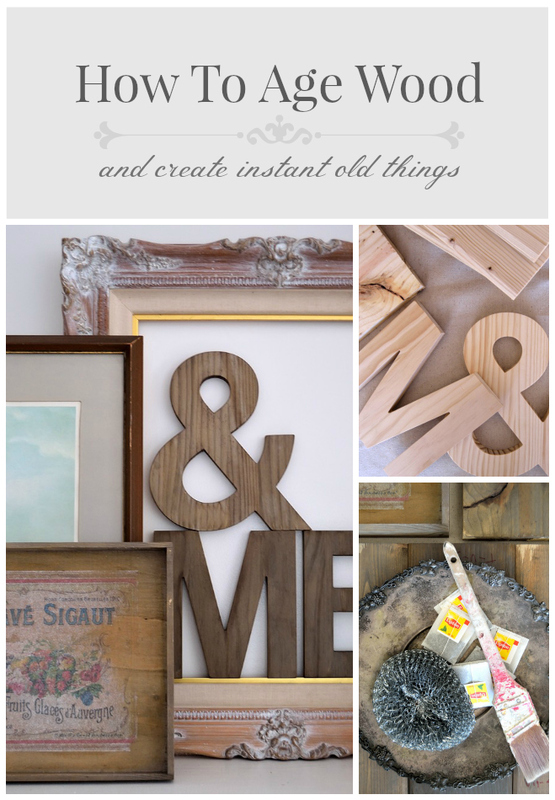 I'll definitely keep all things stained with tea and steel wool/vinegar out of reach of my dogs! Or make sure I use a sealant of some kind. Thanks for stopping by! LOVE how the wood colors turned out. Thanks for doing the science experiment also! It amazes me how wood is so versatile when using different applications. 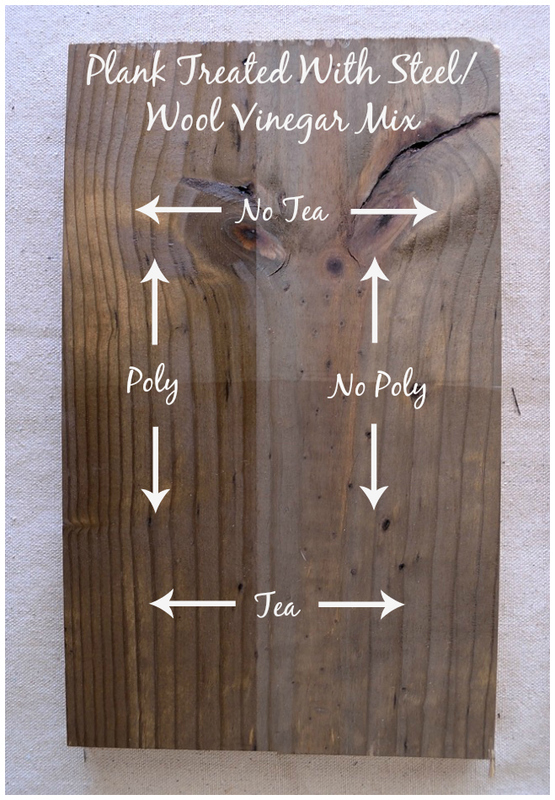 I would have never thought to use tea to stain wood even though I use it to color fabric! Awesome how everything looks together!! Benita, thank you! There is certainly room for more experimentation with this method. For instance, we used black tea-- it would be interesting to try other teas (green, mint, peach-flavored, etc.) and see how the color turns out. I'll definitely be having more fun with this! Those look great. I have heard of these methods, but have never tried them. I love the letters and the tray! Thank you for joining HSH!